Two location broadcasts rounded out a busy year today. I enjoyed a nice lunch and conversation with my oldest daughter immediately after my first broadcast. I made it home for a mid-afternoon nap in order to be fresh and ready for a giant broadcast from the biggest New Years Eve party in the region. The people were out tonight!!! My goodness, it was packed--and everyone seemed lit for a great night. I did my job--hyped it up on air, enjoyed a complimentary dinner afterward from the NYE buffet (chicken breast, shrimp, red grapes and a fresh piece of blue cheese)--speaking of buffets, my perspective is very different now opposed to years ago. My perspective was once, how much can I eat? Now it's, what can I eat? I was able to navigate the choices and assemble what was perhaps an awkward combination of foods--but it worked well. Several people asked if I was staying to watch the band and ring in the New Year. I wasn't. My plan was to leave early enough to ring in the new year with mom in her room at the nursing center. And that's exactly what we did! Mom looks like a Queen in her tiara, plush nightgown, and purple blanket! Right before the stroke of midnight, we talked about the year ahead and the positive possibilities. I'm so grateful she's getting the care she needs. 2016 was full of things that remain on my gratitude list. It was a big year! I spent the entire year in maintenance mode, in fact--I was looking at the numbers, and since I consider maintenance mode anything below my years-ago initial goal of 230, I've been in maintenance mode for a year and a half! It took me awhile to find the nice, tight groove I'm in today--but it's all a part of the process. This graph tells a story. 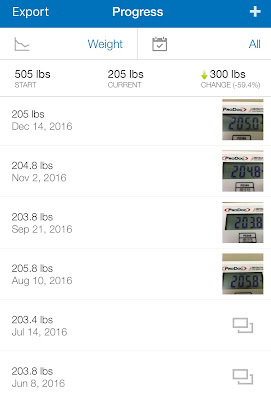 Fourteen maintenance weigh-ins happened during 2016 with an overall weight fluctuation "window" of 8.8 pounds. The weigh-ins show an even tighter fluctuation "window" of 2.4 pounds since June 8th. First of all, I'm grateful for this in a monumental way. I do not take this for granted, ever--ever--ever. My continued maintenance and the peace and calm I feel can be gone very quickly IF I don't practice my plan on a daily basis. Each day is brand new. And I'm always learning. The learning never stops. And that's a good thing. Secondly, I'm super-proud of myself! To be where I am after where I've gone, to me, is a gift I once thought impossible. My annual year in review always includes pictures from the past twelve months. I might be short on the descriptions--it's getting late---but I wanted to share a few before I wrap this post. 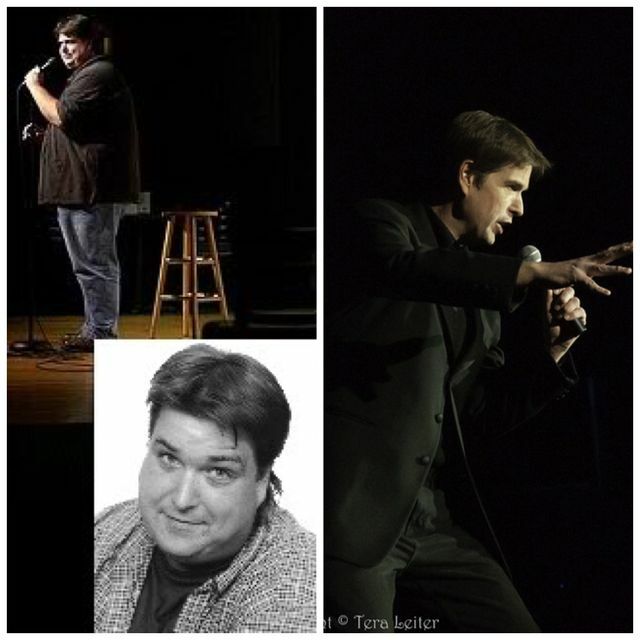 I did more standup comedy in 2016 with opening gigs for Smokey Robinson and Ronnie Milsap. I plan on doing more standup in 2017, on a smaller scale, perhaps--one of my goals is to start a comedy night at the restaurant a couple blocks from my apartment. I'm not ruling out bigger gigs if the opportunity presents, but seriously--all I need to nurture that part of me is a monthly or bi-monthly comedy night where I can work out new material. The "standup before & after." I'll tell you this--the confidence I take to the stage now is vastly different (along with the material) than I did way back in the day. The Today Show was an experience I'll never forget! Joy Bauer is amazing. I'm excited about having her as one of my upcoming guests on Transformation Planet! I absolutely fell in love with NYC! I spent a bunch of quality time with my little grandson, Noah. He's the best! To be able to physically keep up with him is truly one of the best gifts of my continued weight maintenance. Launching my podcast in 2016 was my biggest personal side-project. 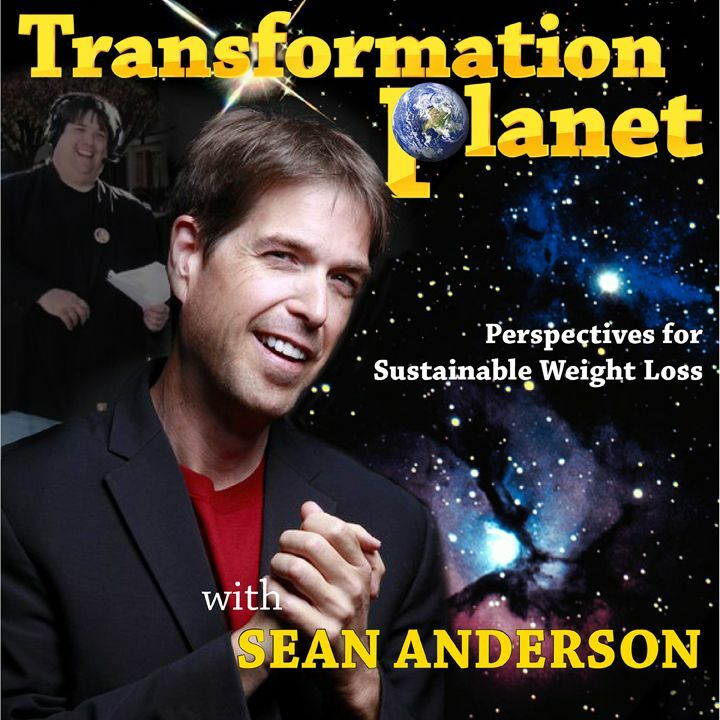 Considering the crazy schedule of December, I've taken it super-easy of late--but trust, Transformation Planet is about to get super-active with several upcoming interviews and a very special reoccuring feature that is unlike anything you've ever heard on a weight loss related podcast. Please subscribe if you haven't already and you'll automatically receive new episodes on your device as soon as they're released! You can find Transformation Planet in iTunes, Google Play or anywhere you find your favorite podcasts. There's plenty more I'm not covering in this year-in-review. I was in a relationship, then I wasn't--I don't think it's appropriate to share those photos here. We have a mutual respect for one another and we both wish each other well. I haven't figured out the relationship puzzle--and to be real honest, I don't think I'm ready to figure it out. I still have plenty of work to do on me. 2017 will be a year that I go deeper into this personal work, understanding and education of me. Believe me, there's so much more than just losing the weight and keeping it off. The physical transformation, like I've written many times, is really the least of it. The non-physical elements of transformation, in my experience and opinion, are the biggest ones, by far. As far as my plan goes for 2017-- two things remain in need of better attention: My exercise commitment and my sleep schedule. Both of these elements have a dramatic effect, either good or bad--and my choices determine what I'll get along the way. I like my food plan. Although, it is time to start tightening it up in some areas. My recent run-ins with crackers, sugar-free cool whip and stuffed mushrooms are all pointing me in the direction of even less processed foods. My abstinence from refined sugar mustn't be compromised--and when I get loose and careless, I'm playing with fire. Okay-- I must wrap this up tonight. I know this has been a long post--and if you're still here--then I have one more thing--actually two more things. K.L. writes: "Love the positive, nonjudgmental support." R.S. writes: "I was stuck. The feedback, guidance, acceptance, and friendship from Sean and Kathleen's accountability and support group got me UNstuck. I am soooo thankful for all I've learned, and can sincerely recommend it to anyone who wants to progress towards their own health goals." D.A. writes: "This group is fabulous and unlike anything else I have done in my dieting career! The support from Sean and Kathleen and the other group members has made all the difference in me reaching my initial goal weight and helping me as I reach my final goal weight, and setting me up to be able to maintain that weight going forward. This is not about a diet: we all work our own plans and help each other to be successful. I have been involved in sessions of this group for over a year and I keep joining because IT WORKS! Nothing can beat the support and accountability,you will find if you join the group." Today: I maintained the integrity of my maintenance calorie budget. I remained abstinent from refined sugar. I met my daily water goal. I stayed well connected with great support. And I got a bunch of exercise today over the course of my five hours of location broadcasting! It's been a great day. And it's been an amazing year. I don't give myself enough leisure time. I thought I would watch a movie tonight. It's unusual for me, actually. I have a recliner I hardly ever use. If I'm at home, I'm at my desk, in the kitchen or in bed. So--I tried! I gave it my best. I've wanted to watch Sully since I listened to Tom Hanks talk about the film. And I just haven't. Until tonight...I got back from visiting with mom and thought, you know, I need to see that film!! I even had some popcorn ready to go--a gift from a friend who was kind enough to accurately calculate the calories of this organic popcorn prepared with coconut oil. I made it about 15 minutes in--never ate the popcorn--falling fast asleep. My recliner has certain powers, I'm convinced. This isn't the first time. I think the key for me is to watch a movie with someone else. I should have invited my oldest daughter over! Amber and I will get together for lunch tomorrow--that'll be good! Am I rambling yet? I'm half asleep. 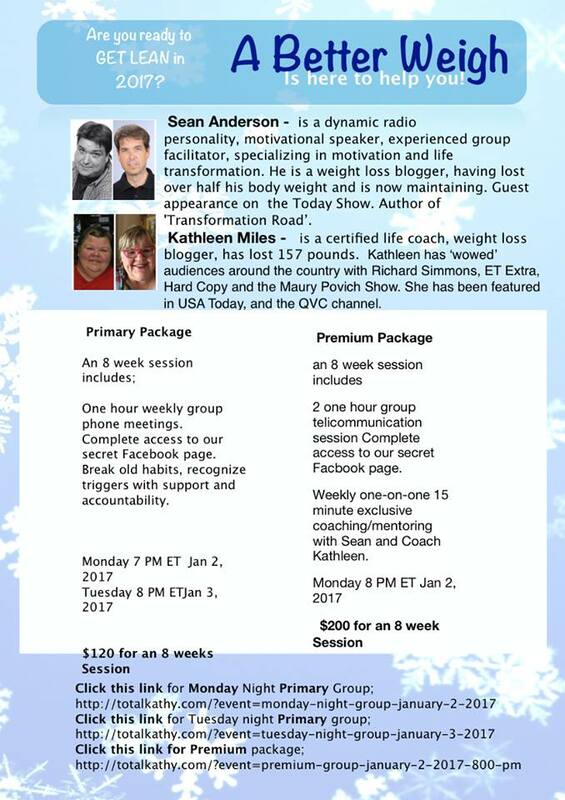 Monday and Tuesday is the start of the next 8-week weight loss support group sessions I cofacilitate with Life Coach Kathleen. Spaces are available in this small & exclusive group. We would love for you to kick off 2017 on our team! Today: I maintained the integrity of my maintenance calorie budget. I remained abstinent from refined sugar. I met my daily water goal. And I stayed well connected with great support. I have two location broadcasts tomorrow. One from 11am to 1pm and another from a huge NYE party from 6-9pm. I will fashion my plan according to the schedule. It'll be okay! I'm looking forward to time off Sunday and Monday! I'm off tomorrow morning! Extra rest will happen. Today was one of those days where I could have planned much better. I had a one on one session tonight--then helped mom move into her new room, and before I knew it, it was 10pm. My plan was for a late dinner anyway-- I had a late afternoon holdover to get me there-- but when I showed to the restaurant where I planned to dine and watch the rest of the Alamo bowl, their doors were locked. Oh--it's Thursday, not Friday--that's why. The plan abruptly changed. I made a fast trip to the grocery store, picked up a few things and headed home to prepare a fantastic meal. It was way too late for dinner-- but it happened, and I'm okay with it. Although, the schedule of late coupled with less than the best planning, has resulted in a few late dinners recently. Clearly, some extra consideration must be devoted to this issue. I'm not calling it a trend just yet--but I'm watching myself closely--and I'm staying accountable with solid support contacts. The question is, how can I plan better in order to avoid a tilted food schedule? Aside from the schedule not being its best--it was a solid day. I maintained the integrity of my maintenance calorie budget. I remained abstinent from refined sugar. I exceeded my daily water goal and I stayed well connected with great support. Mom's liking her new room tonight. It's bigger, more private, and the TV gets a few more channels. She had her hair cut and styled today--and that always lifts her spirits. I ran into someone at the grocery store whom I hadn't seen in several years. The first thing they said: "You've kept it off all these years!" I don't think they knew about the giant relapse/regain period of this trek--and I didn't feel like going into detail. Wasn't necessary. I thanked them and added, "it's a daily practice." And it is a practice. It's never perfect and perfection is never the goal. It's simply a practice each and every day. When we practice, we do what we do well, fairly easily--and that frees us to focus on things that need improvement--and I have a few areas in need of this focus, believe me. The New Year is fast approaching! Do you have the right ingredients for the success of your plan in the new year? Strong support and accountability will add strength!! I hope you'll join us! Space is limited because we keep the group small! Fell asleep before posting! A quick one tonight--and back to sleep! Today: I maintained the integrity of of my maintenance calorie budget, I feel like I maintained my abstinence from refined sugar--although I received a message tonight about the Giorgio stuffed mushrooms and the flavor I most commonly pick contains contains corn syrup solids as the 7th ingredient. The person letting me know is also refined sugar-free--and this is a food they've also looked into--and they shared that other flavors are in fact, sugar-free. I appreciate the feed back and heads up!! Thank you! As I look at this ingredients list, I'm thinking it might be time to simply make my own. These are heavily processed mushrooms! These are so dang convenient! But I certainly don't mind a little extra effort to protect my abstinence! Although, I will say--many people with long term abstinent food plans will allow a 5th ingredient or less without any negative bio-chemical reactions. A similar question arose from the sugar-free cool whip I used on my baked cinnamon apple on Christmas Day. I've had this particular product about three times in the last three years--it's not something I'm adding to my food plan by any stretch. I simply took the "sugar-free" on the label and ran with it--and that's not smart. My mistake! Turns out, corn syrup is the 2nd ingredient. I didn't do my homework on that one! The lesson here for me--is the more processed, the more likely it contains sugar or a synonym of sugar. And it takes looking very closely at that ingredients list!! My best choice is always something whole--single ingredient foods without the need for an ingredients list! I also exceeded my daily water goal and I stayed connected with great support. 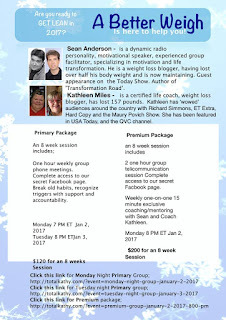 I've shared with you many times about the weight loss support groups I started with Life Coach Gerri and currently cofacilitate with Life Coach Kathleen. There's something special about this group. How can a group with a coach and a mentor--and a team of members, help your weight loss efforts in 2017? It's the power of accountability and support. It's not going alone. It's sharing this commitment with fellow team members who are "in the same lifeboat," as Dr. Marty Lerner puts it. Our individual plans are unique, our goals are unique, our current status (weight loss/maintenance) can be different--my goodness, we have members just getting started and some who are in maintenance mode or real close! 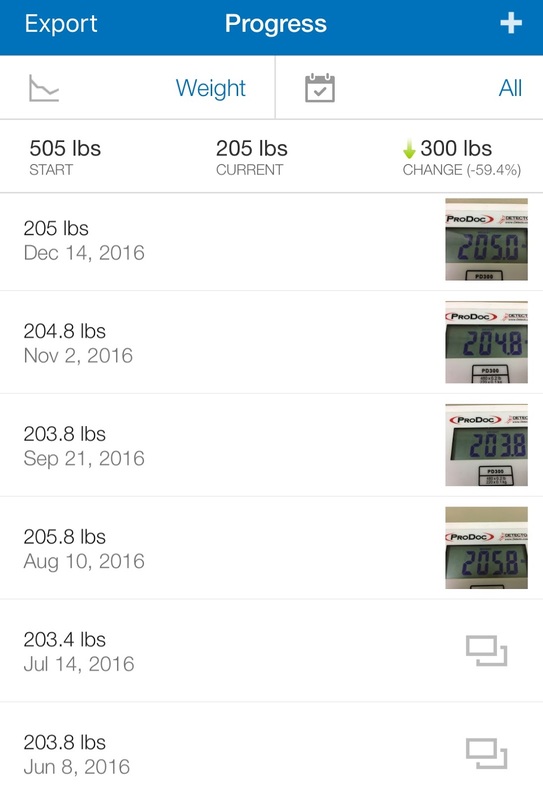 We have members who have lost in excess of 100 pounds--and some who's goal was 20 or 30...it's all relative. This is a diverse group-- but one thing is remarkably similar. Each member who makes an effort to engage, commit to and embrace the accountability and support offered, typically experiences success. One member, on our conference call--just tonight, is approaching maintenance mode for the first time. She's seven pounds away from her healthiest weight. Tonight she said, "I've never been here before." We discussed elements of her plan as she moves into and through maintenance mode--and let me tell you, she's overjoyed. I've allowed my schedule to get a little crazy again. Okay--who am I fooling? It's always been a little nuts. I'm looking forward to additional time off coming this weekend! Mom seems to be doing better today. I stopped by a couple of times for visiting. This is a difficult transition for her. I'm grateful she's close to me. It's much easier to drive a couple miles instead of 43 miles! Remember--I'm an email away if you have any questions about the new 8-week support group session starting January 2nd and January 3rd. You can ask via whatever media is easier for you--Facebook message me--or simply ask your questions in the comments section below. Today was the day we gathered as one big family to celebrate Christmas. It was enjoyable in so many ways. 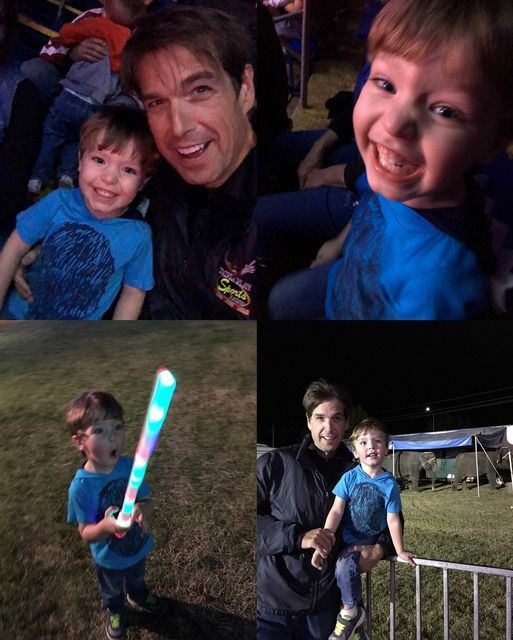 Witnessing my grandson Noah's excitement was a constant source of joy. I helped him get acquainted with his new tablet. He took it and immediately, intuitively, knew what to do. I suppose he helped me get acquainted with his new tablet. Fast and Furious! He wasn't wasting a second. Clothes in one pile, toys lined up together. He's a very organized young man. We received a special pass for mom to leave the nursing center today. It was a seven-hour window, originally-until mom's nurse called about 3:15 to inform us she needed to be back two hours early for her physical therapy session. Mom was none too thrilled. But since Medicare has very explicit rules, it was necessary to do exactly what the nurse said. Just as we were about to leave, Amber showed up unexpectedly. Amber and KL spent Christmas weekend with KL's parents--they switch back and forth every year. We didn't expect to see them today! Irene and Allen made me a very special gift. It has my starting weight from over eight years ago and says, "Change Chosen." Yes, indeed! It was wonderful. Those two are pretty amazing to me. Christmas dinner was fairly simple. My strategy: One plate--no rolls, no refined sugar. Everything I chose for my plate met the boundaries of my plan. Turkey breast, dressing, mashed potatoes, 2 tbsp turkey gravy, green beans and a serving of potato casserole. Dessert was different. I brought an apple, cinnamon, and some sugar-free whipped topping. I sliced and baked the apple with 7g butter and cinnamon--then topped it with 4 tbsp sugar-free whipped topping. It was an amazing 218 calorie dessert! There was a time (during weight loss mode) when I added calories twice a year-- at Thanksgiving and Christmas. This is the second year I haven't used an expanded budget--and the reason is simple--my maintenance mode calorie budget is a very generous 2300 per day. That's plenty for me. I better wrap this up! It's been a really long day. Today: I maintained the integrity of my maintenance calorie budget. I remained abstinent from refined sugar. I met my daily water goal. And I stayed well connected with support contacts. Noah stayed the night and I gotta tell you--that little man is an absolute joy to see in the morning. He's always happy! He opened a couple things this morning, but the real big day will be tomorrow at his Nana's house. We're getting together, all of us-tomorrow at Irene and Allen's house. Mom will join us too! Christmas is delayed a day around here. It's absolutely driving Noah crazy waiting for his toy gifts! The waiting is the hardest part! Today he opened clothing and shoes. He immediately said, "another!" He was shooting for the toys, not clothing and shoes!! Today's dinner with mom at the nursing center turned out to be very easy. I asked a couple of sugar questions-- and basically, kept it super simple. I was impressed with their food quality. The turkey was fresh roasted turkey--and I didn't expect it. No roll and no pie, of course--and I was refined sugar free. Tomorrow is the big family gathering day. And going into it, I'll revisit my plan from Christmas's past. Once you know the truth, you can't un-know it. It's from where the expression "recovery is a buzz kill" comes. I've had many Christmas times in my past where it was a feeding frenzy from the moment I got out of bed until I dropped, stuffed and sick, and pleading "someone, please pass the Zantac." It is entirely possible to know the truth and choose to ignore it. I've done that before, too. The truth is, excessive food on Christmas or any other day, doesn't make anything better. It doesn't enhance the experience. It's an artificial alternative for the experiences and things that bring us fulfillment and joy. Maybe we don't know what the authentic things are, so in our search we find our substance instead. Then we beat our head against the wall doing it over and over again and expecting it to be the real deal, when it never will be what we're truly searching. It's in this understanding where those of us in active recovery realize the truth and set our boundaries accordingly. I still get to eat, but with ironclad rules, specifically designed for me. "...designed for me." That's the critically important thing. I'm looking forward to taking plenty of pictures tomorrow, It'll be a great day, I'm sure! Today: I maintained the integrity of my maintenance calorie budget. I remained abstinent from refined sugar, I met my daily water goal. And I enjoyed several excellent support conversations! "You cookie, Po Po." You did a great job on your cookies, Po Po is fine, thank you--I don't want a cookie. Noah came over today. He's spending the night! A friend of mine and Noah teamed up to make homemade Christmas cookies. Noah made them! So naturally he wanted Po Po to have one. Po Po, as you know, is refined sugar-free--so it was an easy no, but still, something I didn't even think of before I agreed to the cookie-making project. Of course he would want me to try one! I only said no once--and he didn't offer again. Perfect. Baking Christmas cookies was something I remember doing around his age. It was so sweet seeing him have so much fun. He recognized all the shapes, too! It feels amazing to be this far into my abstinence from refined sugar. I'm never beyond relapse--but I'll say this, not once did my head even remotely suggest a cookie as an option. Not once. And that's a wonderful thing to me. Today: I maintained the integrity of my maintenance calorie budget. I remained abstinent from refined sugar. I exceeded my water goal. And I stayed well connected with great support. I enjoyed a good visit with mom tonight. A bunch of us are meeting tomorrow at the nursing facility for Christmas dinner. I'm going in blind on this one. I asked the nurse about the menu and she told me "it's traditional, but I'm not sure of specifics." Okay--so, I'll go in blind on this one--make the best choices possible and I'll be prepared regardless. Expectations are premeditated resentments. I've had a chance to reflect on my gratitude list over the last 24 hours and I've concluded, I have so much to be grateful for in my life. I have a great job, I'm compensated well, I'm living life at a healthy body weight, I have a stable plan--a blog and podcast I love to do--I have enormous love from family and friends. I have many more blessings, too. So, I guess what I'm saying is...perhaps my negative feelings yesterday was just a gut reaction without consideration of all factors in play. I have it really good in so many ways. I dare not complain! And if improvement in any area is what I want--it's got to start with me. I've learned that powerful truth in different ways over the last eight years. I slept in today like a champion. It felt amazing!! Almost eleven hours! I can't remember the last time I slept that long and deep. It tilted my schedule dramatically, but I didn't care. I was proud of myself! I'm thankful for the extra time off during the holidays. There's extra time off coming up next weekend, too. Once my day started, it got busy quickly--with several errands and Christmas shopping. I'm a last minute shopper--have been for years. And this year is a little better than most--because I didn't stop until I was finished, today--the 23rd, not Christmas Eve, like every other year in the past decade. I feel completely justified in counting my shopping activity as a workout. Today: I maintained the integrity of my maintenance calorie budget. I remained abstinent from refined sugar. I met my daily water goal. And I stayed well connected with great support. I'll aim for another on-plan day, tomorrow. Whenever I'm feeling the way I was yesterday--it's not a bad thing, I mean--feelings are feelings--but the one thing my teachers have taught me along this road: Feelings pass--they naturally subside, and then, we have a chance to reflect and reassess the circumstance triggering the feelings in the first place...and in my experience, by the time it's had a chance to marinate, my perspective can change. I'm capable of broadening my focus and seeing the bigger picture. And the bigger picture is a beautiful thing. Gratitude is a powerful thing. I'm blessed and very grateful. Occasionally, I'm reminded of the old, deeply ingrained reactionary behavior that kept me at 500 pounds for nearly two decades. Work today ended up being frustrating, disappointing, and quite honestly, it left me feeling extremely undervalued. I'm not perfect, ever-- and there's more I could do, but in many areas, I go above and beyond for the team. I'll not elaborate, wouldn't be appropriate--the point is, whenever emotions are high--in whatever form, there's still, and always will be that voice inside that whispers, hey man, up here in your head--yeah, it's me--you know, that voice you've been ignoring for a very long time--don't ya think a binge would be good right about now? I've noticed how I'm able to stay fairly even with my emotions throughout maintenance mode--not too high, not too low--somewhere in the middle range seems to be a nice little groove I've found. But then a day like today hits and my needle pegs. And then I'm forced to either buddy up with that inner voice and essentially throw it all away, or lean in the direction of what I know works. I did two things. I made an on-plan snack and I reached for support--someone I could share a confidential conversation with about the specifics of my frustration--but mainly someone who understands the importance of my plan in these moments--someone with a similar plan and track record of success. Nothing is worth sacrificing the integrity of my extraordinary care. Nothing. My life-stream and fundamental elements-stream run parallel to one another. Making sure they don't cross is critically important. Basically--when life gets challenging, it's not ever a good reason to sacrifice the extraordinary care of my plan. On the other side, I mustn't make the fundamental elements of my plan so big, full of rules, and complicated--that it affects my life in negative ways. I shut down that whispering voice inside that was promising to relieve me of feeling certain things--and I just felt 'em. And instead of saying things or doing things in reaction, I gave it pause--just enough space to feel it and allow it to naturally subside. After I finished work for the afternoon, I made my way over to see mom at the nursing facility. I haven't been allowed to take pictures of her for several days because she simply hasn't felt like it-- and her reason (not that she needs one) is partly because she hasn't been well--and the other part involves her hair. It doesn't matter how much I tell her how beautiful she is with or without her hair fixed--if the hair isn't working, she's not very willing to smile for the camera. And I honor her wishes. I walked in her room this afternoon, and I gotta tell you, she looked like a completely different woman than the one discharged from the hospital on Tuesday. I was so happy to find mom beaming after her hair appointment. I made it home late this afternoon, had a late lunch, made a support call--and grabbed a nap before an evening with a couple of scheduled one-on-one mentoring sessions. I enjoyed a nice meal tonight before going back out to see mom. She's super-excited about several family members (including Noah!) gathering with her in the dining room on Sunday for Christmas dinner. 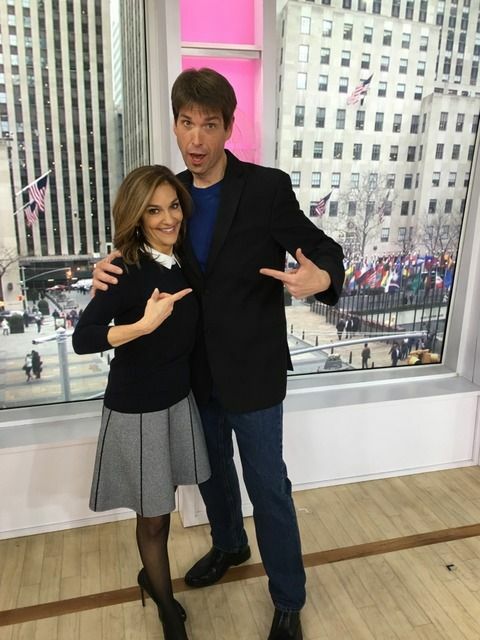 I'm off tomorrow as far as a morning show is concerned. I do have a production project I must accomplish tomorrow--at some point along the way. Oh--and I need to shop. I haven't even started shopping for Christmas! Today: I maintained the integrity of my maintenance calorie budget, I remained abstinent from refined sugar, I exceeded my daily water goal and I stayed well connected with great support. I have several things deserving of my gratitude. I'll focus on those as I lay my head on the pillow. It's 11:30pm--I just got back home a little while ago from taking more of mom's stuff to her room. We had a good conversation tonight. I think it's finally settling in, what's ahead and why she needs this level of around the clock care. Today started in a very unusual way. 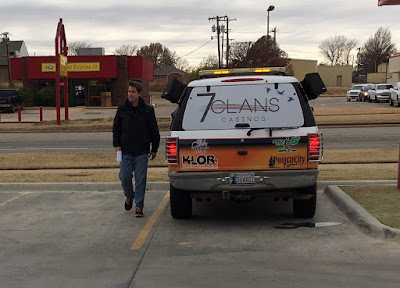 I was six minutes into my radio show this morning when gun shots started popping in quick succession. I called 911 to report the shots--before looking down the street to see the police on the scene. A young man was shot and killed by police a block away from our studio when he advanced on them while refusing to drop his weapon. It was a very tragic story and unusual for this area. Mom called me from her room this morning as she listened to my morning show, "Are you okay? What's going on with the gunshots you're talking about?" The story was the primary focus of our news department, as you might imagine--so it was talked about a lot, all morning long. I made the trip to Stillwater this afternoon after work to get more of mom's things--finally got back home a little after 6pm, prepped for dinner--then enjoyed co-hosting the December Speaker Series with Life Coach Gerri Helms--made dinner right after, enjoyed it and headed to the store to grab a few things before going back to mom. I must remind myself: My extraordinary care of me is a very important thing that runs constantly in the background of my life. My extraordinary care is NOT dependent on everything being awesome. It is dependent on my willingness to accept and embrace my plan each day. I did very well today. I maintained the integrity of my maintenance calorie budget, I remained abstinent from refined sugar, I exceeded my daily water goal and I stayed well connected with great support! Today wasn't fun. 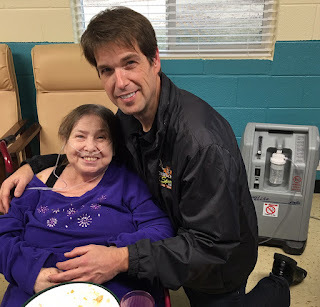 Picking up mom from the hospital and bringing her to the skilled nursing center was tough. She's so scared--and I try to calm her fears the best I can. The things I promised mom--the trips for shopping and occasionally dining out, are on hold for awhile. We were informed that during the skilled nursing care (up to the first 100 days), she's not allowed to leave the facility (per Medicare regulations). We're hoping to get special permission for a day after Christmas get together with family--but that may not happen. Instead, we'll be joining mom on Christmas day. I imagine mom felt the same way I did today when she dropped me off for the first day of kindergarten forty years ago. The fear in her eyes--the worry, the tears welling up---just killed me to see that in her. Naturally, I want to protect her from these type of feelings-- but the truth is, she's truly right where she needs to be at this time. Her list of medical issues is a long one--far more extensive than we thought. She needs constant care. And she'll adjust--she'll get comfortable. It'll be okay. I stayed well connected with support today. I maintained the integrity of my maintenance calorie budget, I remained abstinent from refined sugar and I met my daily water goal. It was a very emotional day. I had to leave mom this evening and return to work a special in-studio broadcast for an annual event. Tonight was the biggest broadcast of the year in terms of listeners. I was thankful that a very good friend stepped in and stayed with mom on her first evening. Mom listened to the broadcast in her room. I stopped by after work, before picking up dinner--and I just spoke with her again on the phone. She's going to be okay. This is simply going to take an adjustment period. Arrangements were made today for mom to make the transition from the hospital to the skilled nursing facility. She'll be just a few miles from my apartment--so that's going to be very nice! And most importantly, she'll receive the constant care and rehab she needs. I'll be making the trip to Stillwater to pick her up from the hospital tomorrow afternoon. We've talked several times today and she's doing much better with it all--and since a lot of details were finalized this morning, I feel much better about that part of things. I sincerely appreciate all of the advice, suggestions, and prayers during this time. I'm severely behind on email replies of late, so if you've recently contacted me with questions about anything--thank you for your patience, I'll get back to you, soon! I'm also behind on shipping!!! I use priority mail--so if you're waiting on your book order, I plan on stopping at the post office tomorrow on the way out of town--and it should arrive by Thursday or Friday at the very latest. I returned to the studio for work this evening, after dinner. This is the busiest time of year in broadcasting--and we're all putting in the extra time to get everything finished on time. I've stayed minimally connected with support today. I'm usually much more connected with support. I've simply been consumed. And really--that's when support is needed the most, so I'll aim to stay better connected tomorrow. I've continued my extraordinary care by maintaining the integrity of my maintenance calorie budget and remaining abstinent from refined sugar. I met my water goal today. The only thing I didn't meet was my goal to get a workout tonight. I'm extending myself a generous helping of grace in this area--at least right now. It's not going to help for me to beat myself up over this part of my plan. I'm not big on New Years Resolutions--mainly because I've never kept them, but maybe this time I will, because my workout schedule must get back to a consistent schedule. It's a vital part of my plan--and although I do a small, very fast body-weight strength routine in the morning, it isn't all I need in that department. But again--I'm not beating myself up on this one. I'm doing very well. I'm maintaining my food plan extraordinarily well and I've discovered that if I do that, then the weight maintenance happens. I'm grateful. I spent some more time with mom today. She's doing much better as the medications and care do what they do. She's naturally nervous and uncertain about the transition that's about to occur, from the hospital to the skilled nursing center. That was all our conversation focused on--and I kept emphasizing the positives in it all--the care she needs, she'll be closer to me and other family members up here--and she'll have some much needed social interaction. I'm calling it a day. Today: I maintained the integrity of my maintenance calorie budget. I remained abstinent from refined sugar. And I stayed well connected with good support. That's the best I can do today--and that'll be alright. 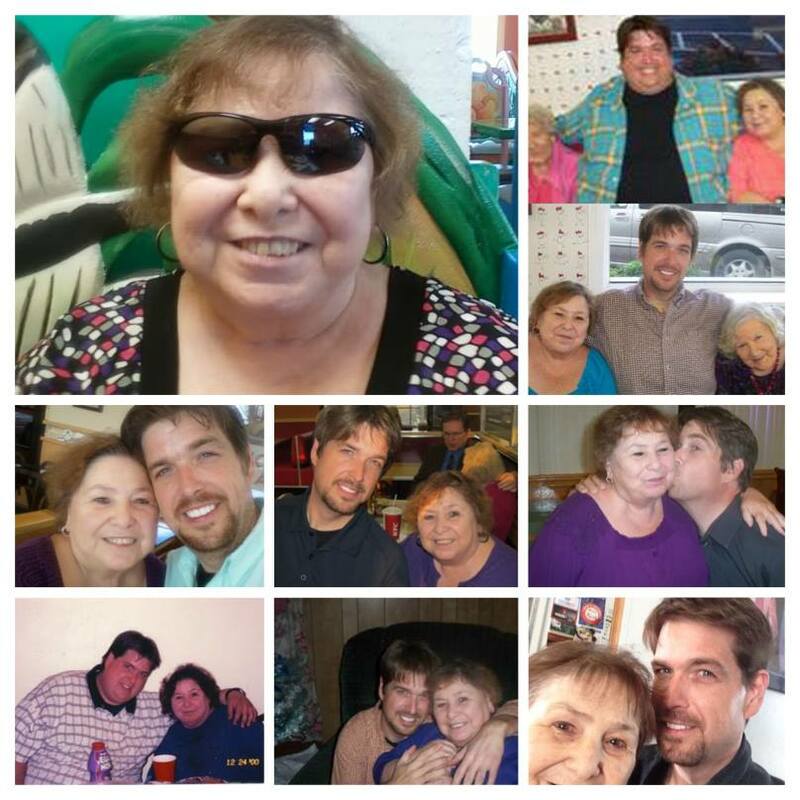 I sincerely appreciate the incredible outpouring of prayers in support of mom's recovery. Every single blog comment, Facebook comment--every single one is appreciated very much. Thank you. The update I received tonight was a very good report. She's doing very well. Her body is responding to the treatment and she's out of danger. She suffered a pretty bad panic attack early this morning-on top of everything else, but she's much more calm tonight. It broke my heart to hear the details of her panic attack. She was scared for her life. She's truly stable now. Things got pretty bad very quickly. I'm so thankful she got the medical treatment she needed. Like I've reassured mom--if you weren't stable they would put you in ICU. She's stable and improving in a regular room. With mom fairly stable, I opted to continue my original plan of spending today preparing for a private stand-up gig I was hired to do tonight for a big bank. I did this same gig last year--giving them over an hour of stand-up--and that made this year more challenging, because I didn't want to do the same material! The show was divided up a little more than last year--so my actual stand-up comedy time was considerably shorter. It was a variety show! I invited my friends from the On The Spot Improv troupe to help round out the show. They were amazing! And I'm glad they were part of the entertainment lineup tonight. 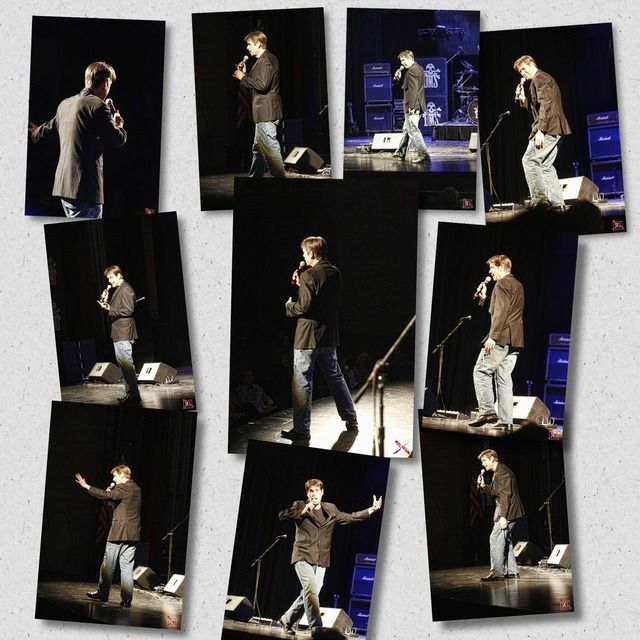 I must say-- I LOVE doing stand-up. Every single time I do it, I ask myself, why are you not doing more of this immense source of joy? I must start a comedy night at the Ground Round Grill and Bar located literally two blocks from my apartment--I'm doing it, very soon. The owner has already given this idea the green light. The ball is in my court on this one. I really enjoy taking extra special care in preparing a meal. I didn't always enjoy the process of preparing and cooking. At my heaviest, I'd choose speed and convenience every single time. This morning's breakfast was fantastic. It feels great to honor my plan by exhibiting this level of extraordinary care. I'm worth it, by golly!!! Weighing and measuring everything is an important part of my plan each day. It gives me a measure of certainty. A party goer pulled me aside tonight specifically to mention and compliment me on my weight-loss maintenance. It's nice to receive that kind of positive feedback. I remembered the MyFitnessPal progress chart contains all of my weigh-ins, so I checked--this time last year I weighed 6 pounds heavier than I do today. I'm proud of that in a big way. And having experienced a monumental 164 pound relapse/regain, I don't take this maintenance mode for granted. I protect it each day by maintaining the integrity of my plan. What's interesting to me is how I once thought of this level of extraordinary care as something that would make life harder--absolutely miserable--but that wasn't true. It's the opposite. Honoring my plan each day by doing what I do brings me tremendous joy--and continued weight maintenance. I'm traveling to spend time with mom tomorrow. She'll be in the hospital for at least another couple days. When she's released, the doctors and nurses at the hospital have recommended a skilled nursing facility. I'll be moving mom up here where I live and work. She'll get the level of care she needs and she'll get to see much more of me, Noah, Amber and Courtney--and everyone else up this way. Mom actually requested this course of action before the hospital officially recommended it. I have a feeling she'll continue to rapidly gain strength and wellness in that kind of exceptional care environment. I'm looking forward to having her close. Today: I maintained the integrity of my maintenance calorie budget. I remained abstinent from refined sugar. I exceeded my daily water goal. And I stayed well connected with great support. It was one more day of extraordinary care. I'll aim for another like it, tomorrow! I just got home from visiting mom in the hospital. Things seem to be much worse than originally thought. Mom is in the best place and she's getting the constant care she needs. I arrived at the hospital and met with her nurse who brought me up to speed. Mom started with a urinary tract infection, and now has pneumonia, sepsis, and upon my arrival, had just finished a blood transfusion. She's going to make it through this. I'm thankful she's getting the care she needs to beat this. I'm keeping it super short tonight. My main concern has been mom's care. Sepsis scares me. But again, she's getting the treatment she needs to correct everything. Today: I maintained the integrity of my maintenance calorie budget. I remained abstinent from refined sugar. I exceeded my daily water goal. And I stayed well connected with good support. Some pictures of mom and me over the years. I've always been open within these writings--and sometimes it's included others, because if they're a big part of my life, it just happens, but only if I have their blessing to share. In the early days of this blog, I wasn't as mindful and considerate as I should have been. Much like my plan over the years, I've personally developed, grown--evolved. Mom has given me her blessing time and time again to share photos of us together and also share information, like last night's hospitalization. She's suffering from a bad infection. The doctors are on top of it and she's getting the best care. The symptoms this infection created were fairly unsettling. I've communicated directly with the medical staff a few times today--and with mom, of course, just as many, and she's doing exceptionally well. After taking a fall last night, she's somewhat nervous and unsure of her step, but recovering well. I plan on seeing her tomorrow. Today was tilted. I overslept this morning. I know myself well enough to know--within two hours or less of sleep, my body will completely shut out alarm clocks. I sent a text to a colleague before bed, so my show was covered until I arrived a little over an hour behind schedule. I did a few post-show tasks, prepared a late breakfast and made my way over to the TV 19 studios to tape a school system TV show I host with the superintendent each month. I know I looked like hell. It doesn't matter with radio--you can't see me. I'm fairly new to this TV stuff. The thought of, wait a second--I didn't make time to shave this morning, hit me as I walked onto the set. Oh well, it's one episode. And it wasn't bad. I didn't look like I spent the night in the gutter, I'm certain. I had a couple errands to accomplish after the show before finally getting home and crashing for a great nap. My lunch was late and my dinner tonight, even later. My original plan included a workout at the gym tonight. Instead, I stayed home and accomplished a body weight strength training routine consisting of two thirty-second planks, a sixty-second wall sit, forty push-ups, and forty squats. I'll feel this workout in the morning when I go for my fast #morningdeal routine. Yesterday's maintenance weigh-in at the doctor's office was nice. My plan isn't perfect by any stretch of the imagination. I mean, seriously--I acknowledge, I do several things right for me and my plan. But I do several things that could be much much better. Sleep, workout consistency, and the sometimes insanely late dinners are all things imperfect. And they'll never be perfect--and that's okay, but I know they could be better--and will only help my plan and my body, moving forward if I make an effort to improve these areas. But still, the tight maintenance weight window continues. I feel very blessed--and immensely grateful, of course. The repairing of what I thought was a broken metabolism is one of the biggest blessings along this road. Apparently, it wasn't broken, it just needed the right fuel to operate in an optimal way. My biggest takeaways from today: How it's important for me to maintain the integrity of certain elements in my plan--even when I don't feel like it. I didn't want to do the #morningdeal mini-workout routine this morning--but I quickly got it done anyway. I was in a mad dash to get out the door--but I still took the time to grab a bag and pick out the foods I needed for this morning. I could have easily skipped the workout tonight (and believe me, I do quite often)-but I made it work and happen, and that feels good. My food schedule wasn't the only thing tilted--my sleep was tilted, too. I'm glad tomorrow is Friday--and the weekend is here because I'll be making time for additional rest, for sure. Today: I maintained the integrity of my maintenance calorie budget. I remained abstinent from refined sugar. I exceeded my daily water goal. I had a great mini-workout this morning and a nice strength training workout tonight. I stayed well connected with great support contacts. It was a challenging day. And it was still a good day. I feel great about that. Mom had to be taken to the hospital tonight. I made the trip down to Stillwater to be there. She's stabilized and admitted into a room. I've made it back home. It's almost 3am. This will be a very quick update and I'll write more tomorrow night. A .2 pound gain over the last six weeks tells me my maintenance food plan is working incredibly well. I'm truly blessed and very grateful. I'll elaborate in tomorrow night's edition. If tomorrow was a regular day, I would have taken a personal day--but we're in the middle of some big promotions, so if I can, I feel like I need to be on the show in a few hours. I'll be getting a little more than two hours sleep--and that's not good for me. I'm hoping to be in a position to leave the studio by midmorning and get the rest I need. I'm sure that won't be a problem. Today: I maintained the integrity of my maintenance calorie budget. I remained abstinent from refined sugar. I exceeded my daily water goal. And I stayed well connected with solid support. The bakery items started filling our studio lobby shortly before 8am. It's a big promotion in support of a client's Christmas bakery sales. Every single item they make--piled up in boxes, sitting there--free to anyone and everyone on staff. This happens twice a year, right before Thanksgiving and then before Christmas. Today was the day. I'll spare you the picture. Actually, I didn't take a picture this time, so I couldn't even if I wanted to share a picture. I'm so grateful to be where I am along this road. Not white-knuckling through an event like this is a monumental thing to me. The physical and actual biochemical difference abstaining from refined sugar has created, is something I truly don't want to lose. It's peace and calm vs. chaos. I choose peace and calm. If the thought of diving into the pies and other bakery items starts to creep in, my brain seems to assess the consequences on a much grander scale than it did during the days of my reckless abandon. What's different from all those other times when I would have gorged my face off? I think the main things missing are the intentional self-destructive lies created to justify the jump. There's a code of self-honesty involved--a realness about what a slice of pie would mean to me. It isn't about the pie, by the way. For me, it's about the trigger the pie trips in my addicted brain and then, after the awakening of that area in my head, it's the domino effect of destructive decisions in the coming days, weeks, months--and in some experiences of my past, years. Suddenly a 400 calorie slice of pie can become a massive relapse/regain. Thank goodness not everyone is like me. For someone who can handle refined sugar in concentrated forms without tripping a binge trigger--for anyone who can "take it or leave it," or truly only have a bite or two and be done, that's awesome. But I know from experience, I cannot. And after nearly 1,000 days of abstinence--and where it's brought me--I'm perfectly fine with this "agreement." Once I discovered joys in my life didn't come exclusively from food, I lost some of the anxiety surrounding the release of my dependency. Once I realized a binge couldn't fix things, I was suddenly in a position to seek alternative and real methods of action and support. I didn't seek real methods of action and support for years upon years, because I used excess food as an answer to most everything. And even though it never delivered the promise, I plowed straight ahead, trying and trying again. I still enjoy food. I enjoy great food. But I don't put all the pressure on food to somehow deliver me to blissful states of oblivion. You simply can't unknow some things. Once certain things are discovered to be true, their truth can't be denied. It can be willfully ignored!! And that is why I work on my plan each day. I know I'm always capable of somehow justifying the jump straight into a state of relapse. It seriously doesn't matter how many days I string together-- if ever I think I'm cured, a harsh reminder will come quickly. I no longer post the Tweets to this blog, but they still exist on my Twitter account. You're welcome to follow my daily food live-tweets on Twitter @SeanAAnderson You'll find an archive of over 2.5 years--every meal, every day. It's simply an accountability tool for me. It helps keep me. Tomorrow is weigh day. I'm not sure how I got into an every six-week rhythm, but that's what I've done. And honestly, I think that's too far apart. 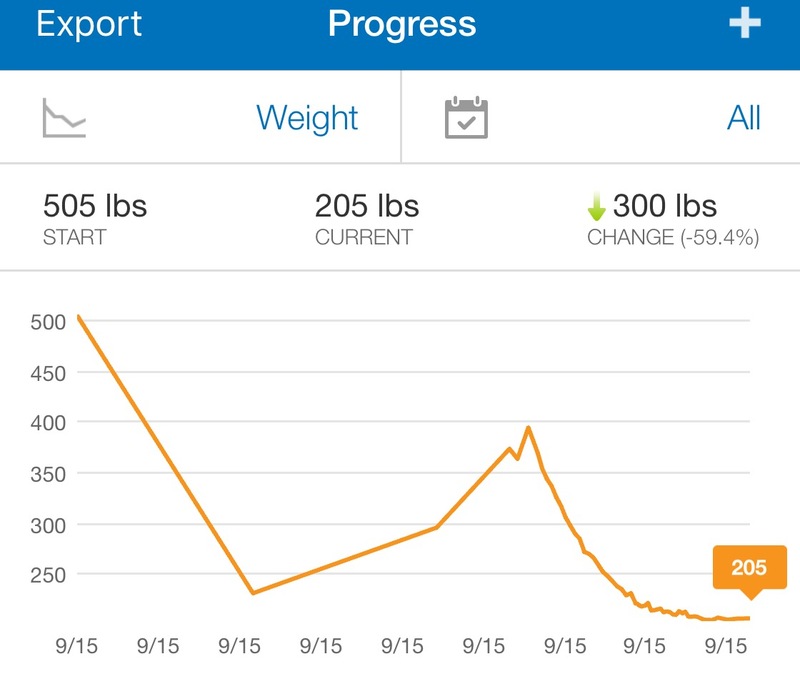 On one hand, I like the distance between the scale and me--and on the other hand, I need to make certain my food plan is creating the side effect of continued weight maintenance within an acceptable range. I keep some things stocked at the studio and other things I take with me each morning. Maintaining the integrity of my plan is much easier when I have what I need, where I need, when I need. Today was a full one in many different ways. 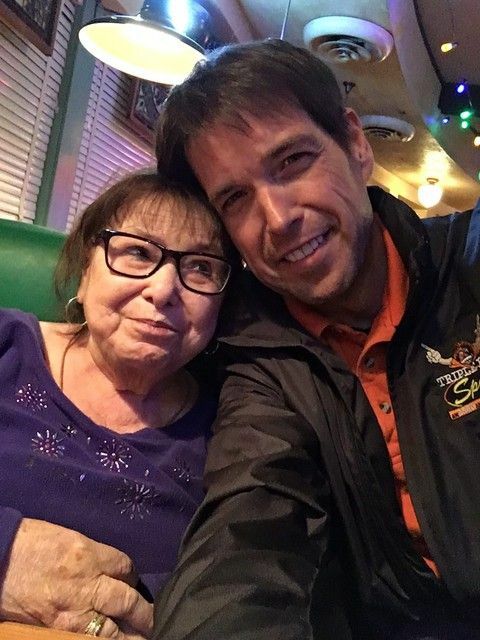 I enjoyed dinner with mom this evening and a good visit, although it was a little shorter than we prefer. And still, it's late! I'll cut to the vitals and hit the pillow. Today: I maintained the integrity of my maintenance calorie budget. I remained abstinent from refined sugar. I exceeded my daily water goal. And I stayed well connected with wonderful support friends. After taking Noah home, I cleared the schedule. I had a list of things to get done and I just didn't, on purpose, I enjoyed a nice meal out. I watched a movie in the comfort of my living room. I prepared a great meal tonight. I took it easy. I took a nap. I long nap. A nice long nap. It was awesome. I took it easy and I also took extraordinary care. For me, Day 1 was the start of my parallel streams philosophy, I just didn't know what to call it back then. The "Life Stream" is everything happening in our day to day lives. The Life Stream includes the ups and downs, the challenges, the victories, the disappointments, The hectic schedules, the family dynamics, the workplace dynamics, the bills, the stress, the joys, the blessings, the expected and the unexpected, the good, the bad...It's life. The "Fundamental Elements Stream" contain the daily actions of my personal plan. I say "my" because our plans might be very different. Mine is customized to fit my personality, likes, dislikes, strengths, weaknesses and sensitivities. My fundamental elements stream includes my personal/spiritual morning "me time," the most peaceful five minutes of my entire day. My fundamental elements stream also includes maintaining the integrity of my calorie budget, remaining abstinent from refined sugar, logging everything in MyFitnessPal, photographing and tweeting, with description and calorie counts of everything I consume, every day, getting regular workouts and staying connected with one on one and group support interactions and of course, writing and publishing this blog, nightly--right before bed. I've also referred to my fundamental elements as my "rails of support." I've set my accountability and support measures on high. When someone makes a comment in the direction of, "you're so strong" or "you must have amazing will power," I typically thank them and smile, but I know, truly, I'm not that strong and I don't have giant amounts of will power. What I have are solid rails of accountability and support--and I'm holding onto those rails, each day. They guide me, step by step. The fundamental elements stream runs parallel, just below the life stream. The life stream is running in the foreground and the fundamental elements stream is running in the background--like a computer's anti-virus program. I've written countless paragraphs within the archives of this blog all about the "life stream" and the "fundamental elements stream" and how they must run parallel to one another without crossing. If we allow life and all of the energy it takes to maneuver, to negatively affect our ability to maintain consistency in the daily elements of our extraordinary care, then it always will. The frustration of inconsistency will be a common theme if the life stream is allowed to dip down into the fundamental elements stream on a regular basis. And if we get too carried away, making the fundamental elements all consuming, then we run the risk of it crossing up into our life stream. And that's when it isn't any fun and we dread what we're doing every day. I've had several challenges of late where I really had to remember the power of this "parallel streams" philosophy. I've discovered, when life demands more attention, we don't have to let go of the elements giving us our success, but we can scale back the amount of energy it uses to operate. We don't sacrifice the integrity of the elements, we just do what we can do. For me--on super busy days, I have three non-negotiable requirements: 1. Stay within my calorie budget 2. Hold my abstinence from sugar sacred 3. Send the accountability tweets and write this blog--even if it's just the tweets of the day. I maintained the integrity of my maintenance calorie budget--logging in MyFitnessPal and posting to my accountability Twitter feed. I remained abstinent from refined sugar. I exceeded my daily water goal. And I stayed well connected with great support friends. It's quiet around here without Noah. I miss him already! I really enjoyed today. And in the middle of this super-busy season, days like today are important. It was midday, in the middle of two back to back location broadcasts. I had a great breakfast--big and filling, on plan--but making it until 4pm might be a challenge. No problem, because my first broadcast was at a grocery store. I could grab something, so I did. A banana, string cheese and a water. I looked for almonds and didn't find any single serve packages. I asked the manager--and he went on a search. He didn't find any single serving packages, but he did bring back a canister of almonds and handed them to me, complimentary. Oooh... he didn't know, this is one of the things I know about me--I can't do nuts in bulk. I graciously accepted the gift. Then quickly regifted the almonds to a colleague on my way to the next broadcast. He knew why I was handing him a canister of almonds in the parking lot of the grocery store. At my next broadcast, he brought me a 42g package of almonds. Perfect. All was well. Learning things about myself--specifically what I can handle and what I can't was/continues to be an important part of developing my food plan. I have a list of things I don't keep in my apartment--because I have a history. I don't keep cartons of cottage cheese. I don't do large block cheeses. I don't keep sugar-free versions of my trigger foods, like ice cream--even in single serve packages--nope, can't do it. And I don't keep mixed nuts, peanuts or almonds in containers larger than single servings. I just don't--they're too calorie dense and again, history is a powerful reminder. I've eaten an entire carton--check that, I've eaten many entire cartons of cottage cheese in my past. I've consumed an entire pound of block sharp cheddar in one sitting on more than one occasion. I've bought boxes of sugar-free ice cream low calorie "treats," and finished the entire box in less than 24 hours. And I've consumed entire cans of mixed nuts, peanuts or almonds at points along the way, in my history. I don't do that anymore. The food plan that works for me requires certain boundaries based on my history and experience. Keeping these things out of my apartment contributes to the peace and calm of my continued weight loss maintenance plan. This photo was snapped today at my second broadcast. The broadcast was from a frozen custard and steakburger restaurant. It was a birthday celebration for them--and they were passing around free custard cake. I must have said "No, thank you" seven times. And the offers of free food- "You eat yet? Let me know when you're ready and what you want. Did you get a slice of cake?" Uh, No thank you. What's interesting about the above photo is the restaurant in the background--The Chinese Express #3 (Number 1 and 2--I have no idea where those are located--we just have #3) played a significant role during my relapse/regain period. Anyway-- a lot of little and big reminders today of why I do what I do and what I value dearly each day. Today: I maintained the integrity of my maintenance calorie budget. I remained abstinent from refined sugar. I exceeded my daily water goal. I stayed well connected with great support. And I completed a great workout tonight at the gym. If I heard it once, I heard it a thousand times, "you've got to do something you can do for the rest of your life." That phrase depressed me once upon a time. It was depressing because my perspective on weight loss was always centered around feeling deprived, eating things I couldn't stand and white knuckling along on sheer will power. Who wants a life like that??? Forever? I'd rather be morbidly obese and die young than lose weight at the price of being miserable for the rest of my life, I thought. Discovering it didn't have to be a miserable experience, in fact, it could be quite enjoyable with the right perspective and practices, absolutely opened my eyes to the truest meaning of "...something you can do for the rest of your life." It's about finding a groove that works well for you. If I felt deprived, forced myself to choke down undesirable things and essentially felt like a tightrope walker every single day, I wouldn't be here, today. Finding that groove can be a very tough search. Valuable things I needed to grasp and embrace didn't become evident in my search until I regained 164 pounds of my initial 275-pound weight loss. Never give up is the big takeaway there. Through our greatest struggles, we find incredible opportunities to learn from and refine our approach. And it's all a part of finding the groove that works well. I'm blessed and very grateful. When I express gratitude for where I am along this road, it includes being grateful for my relapse/regain period. It's strange really, because there was an avalanche of shame and guilt, a constantly crashing wave of negative energy during that time, and still, there's no doubt about its necessity for where I am today. It certainly makes a wonderful case for letting go of guilt and shame and taking time to open our minds, shift our perspectives enough to find the light--and explore in search of the groove we hope and pray is everlasting. My exploration continues. And it does without feeling deprived, without forcing myself to eat things I can't stand and with very little willpower. Willpower is resisting the urge to do something we really want to do. It doesn't take willpower to resist something we don't want. I don't want to go off the rails. What I do want in abundance is what my daily practices and disciplines bring--peace (spiritually, emotionally, mentally), calm, clarity, hope and joy--not to mention, good food and a freedom I once believed impossible for me. It wasn't impossible for me. And it isn't impossible for you. I promise. Is this a food plan with content, rhythm and a style of eating I can do forever? In my opinion, that's the most important question we must ask ourselves as we travel on this road. It's all about developing the "You" Plan. I felt horrible this morning. Nausea came over me--without fever. I cannot afford to get sick this time of year. I'm afraid my body had different plans today. I made it to my morning show and stayed at work until almost 11am--then left, made it home and grabbed some more rest. I feel much better tonight. It's a great thing I felt better tonight, because this was the night Noah and I planned on "Ho Ho Lights!!" I wasn't canceling on my little man! That's what he calls them, "Ho Ho Lights." Christmas trees are "Ho Ho Trees." Now you know the language. We have what's called "The Festival of Angels." You turn your lights off and creep along a lighted path super slowly. I allowed Noah to sit up front with me. I tried opening the moonroof and letting him stand with his head up and out-- like in a parade, but that was a little too much, he wasn't having it! It's too cold anyway. Today: I maintained the integrity of my maintenance calorie budget. I remained abstinent from refined sugar. I exceeded my daily water goal. And I stayed well connected with great support. And, I enjoyed some Noah time! I'm still not feeling 100% as of this writing--but still no fever. I'm scheduled for two different location broadcasts tomorrow--one from a grocery store and another from a frozen custard and steakburgers restaurant. It'll be fine. Instead of creating roadblocks to success, let's create a new route toward positive possibilities. I spent many years aligning my focus on all the reasons why it wasn't the right time, or why my body just wasn't able to lose weight or citing whatever stressful or emotional things were in play at any given time--perfect distractions, perfect detours prolonging my trip down this road. Instead of focusing on the possibilities--and creating a new way forward, I was attracted to the line of least resistance these detours provided. Because there, I didn't need to face the truth. I didn't have to admit I was lost. I could just be in it another day, like the day before and the day, week, month and year before that. Nothing changes if nothing changes and since change felt uncertain and rather scary--uh, yeah--I'd wait a little longer to get started. I'm so glad I stopped that pattern in my life. Keeping my mind open for learning along the way and keeping a nice warm embrace of the daily non-negotiable elements of my plan helps keep me from falling back into those old patterns, where everything is negative and nothing is possible. It is possible to create a food plan that's sustainable long term. It is possible to redefine the boundaries of a lifelong unhealthy relationship with food. It is possible to drop the pride and ego, humbly admit I don't have all the answers--ask for help, open my mind and learn. Why do we sometimes insist on being so smart??? I'll tell you this-- pride in my natural intellect kept me closed from learning and growth for a very long time. Success or failure along this road has ZERO to do with intelligence. We're not stupid when we fall and we're not smart when we have success. The physical transformation from losing weight doesn't make us a better person and the physical transformation from gaining weight doesn't make us a bad person. I'll tell ya--when I stepped away 164 pounds heavier than my initial weight loss, and I looked at what others had--the things I wanted---long-term weight loss maintenance--A peace and calm nature about them--I had to ask--what are they doing?? And--am I willing to design a similar plan that fits me? Let's do something different than any other time, ever. Amber put this together for me--it was my first "Before&Current" seven years ago! April 2016-- I fell in love with NYC! 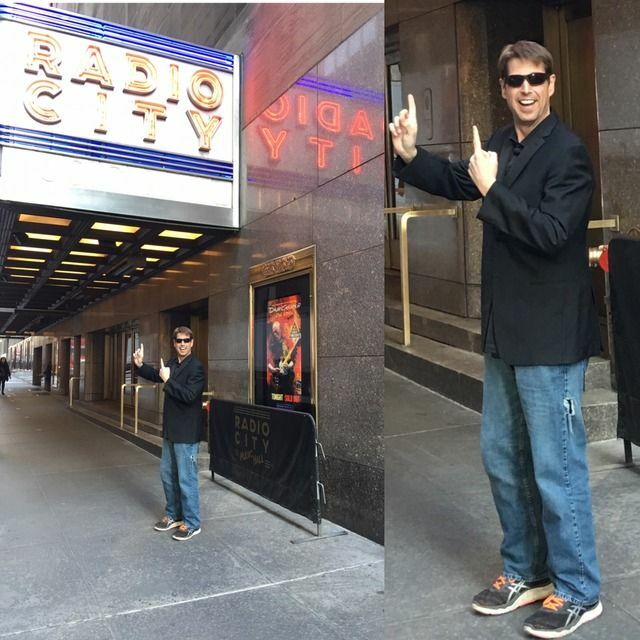 RadioCity!!! ThrowBack Thursday: Behind the scenes of Today on NBC-- Hope Williams Church and me getting prepped with Joy Bauer minutes before our appearance. Today: I maintained the integrity of my maintenance calorie budget. I remained abstinent from refined sugar. I met my daily water goal. And I stayed well connected with great support contacts. 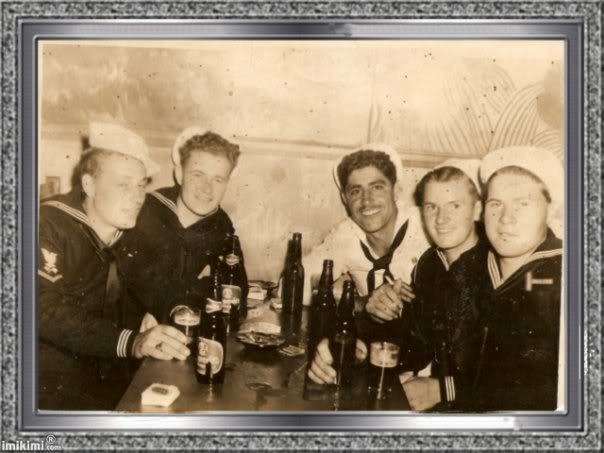 My grandpa Roy T. Anderson is the first sailor on the right. This photo was snapped during a night away from the ship during World War 2. 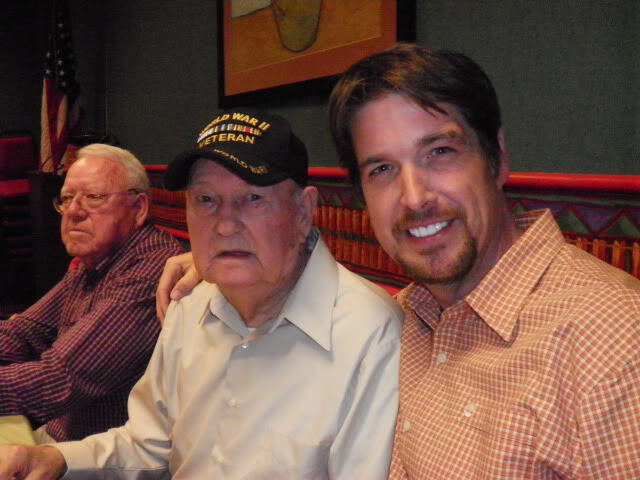 My grandpa on my dad's side, Silas B. Haynes also fought in World War 2, was a Prisoner of War and a Purple Heart recipient. 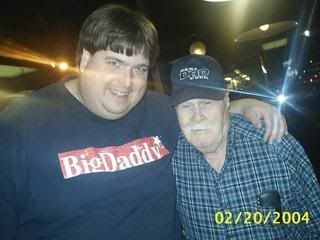 My grandpa Anderson didn't live long enough to see me finally achieve a healthy body weight after years and years of struggle at over 500 pounds. I certainly can't change the past--but boy-howdy, I would've loved for him to see me succeed. Today was a great work day at the studio. Great, as in-- busy, but accomplished. I was getting things done, and that always feels good. I made certain I had what I needed in the way of food, and good thing--that decent sized breakfast carried me until a relatively late lunch. I made it home in time for a short nap before visiting with my oldest daughter for a little while and then getting ready for tonight's December Speaker Series event. The event was great! Although, we did have a major technical difficulty with our Canadian members not being able to join the LIVE call. I've felt horrible all night about this. I accepted responsibility for the issue, apologized for the issue and immediately went to work correcting the situation as best I could. The great thing was--and I'm so glad--the presentation was recorded for digital playback--meaning, members not able to make it tonight--or in this case tried but wasn't able to connect, can listen to the entire presentation at their own convenience without issue. I was finally able to get an exclusive number for our Canadian members to use for the series. That was stressful! I didn't turn to food in an effort to buffer that stress. I reached for support instead. Today: I maintained the integrity of my maintenance calorie budget. I remained abstinent from refined sugar. I exceeded my daily water goal. And I stayed well connected with great support. I'll aim for another day like today, minus the technical difficulties, tomorrow! The Daily Diary of a Winning Loser. All rights reserved. 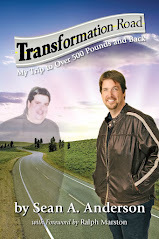 The Questions & Comments Line for my podcast Transformation Planet is available 24/7. Leave a question, comment, or share your story-I'd love to hear your voice! Have you listened to the unabridged audio version of my book? Get yours today! December 6th, 2016 What's For Life? Signed copies available directly from me by visiting my website store. Simply clicking the book cover here will take you directly to my website store! You can also buy it from amazon.com in paperback, unabridged audio version and ereader formats. I'm an email away! And active on Facebook, Twitter and MyFitnessPal--Join me! 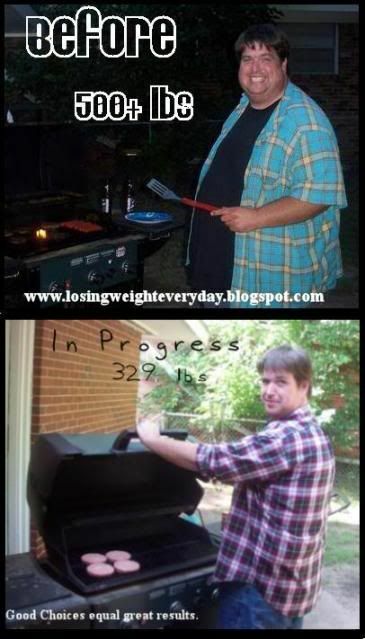 This blog started as a daily account of what became a 275 pound weight loss. The archives contain over 1,700 individual blog posts. 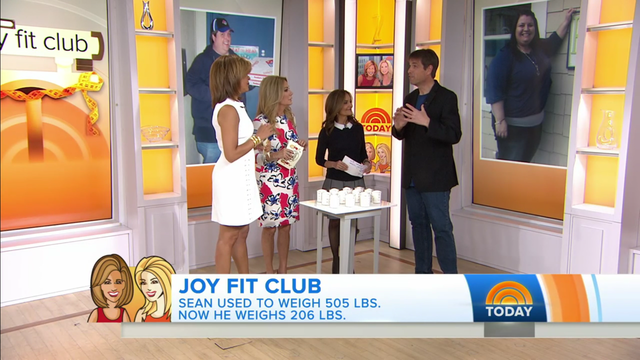 Sean hit his goal weight of 230 in November 2010 and maintained for 1.5 years. Then spent the following 1.5 years regaining 164 pounds. The daily postings from April 2014 to present, chronicle Sean's successful turnaround from relapse/regain. Currently weighing around 204 and maintaining well, Sean continues to write daily about the practices and disciplines of his continued recovery. Food Sober Spring Holiday Weekend- 8th year in a row!!! Sorry for sending out old posts!! My blog has a mind of its own! Can we say X files? If you're looking for a Life Coach, I highly recommend Life Coach Gerri Helms!